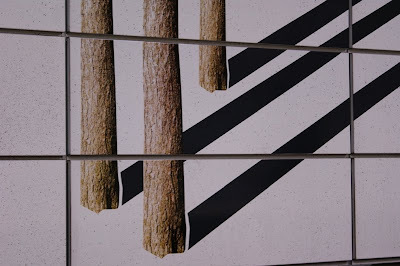 Detail from photographic prints on enamel in the subway station under Danderyd University Hospital. Artist Klara Källström created these in 2008. A bit odd but graphically strong, I'd say. If only they could clean the wall, the tiles are getting rather dirty.